Be part of the change every Friday at the Memphis Center for Independent Living, 5100 Poplar Avenue Suite 810 Memphis, Tennessee 38137. We are working together for the Disability Integration Act and to keep the Community First Choice Option in Tennessee. 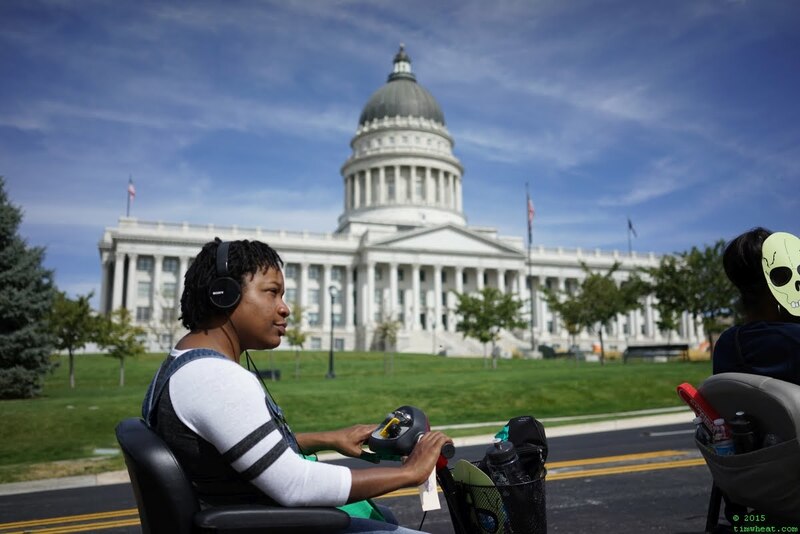 People with disabilities can make a difference, join with Mid-South ADAPT to help us to make sure all Americans have the choice to live in the community. ADAPT is a national grass-roots community that organizes disability rights activists to engage in nonviolent direct action, including civil disobedience, to assure the civil and human rights of people with disabilities to live in freedom. Mid-South ADAPT is organizing people with disabilities in our area to ensure equality for people with disabilities and to end the Medicaid bias. Tell your legislators to act now to protect our rights to Life, Liberty, and the Pursuit of Happiness! The Disability Integration Act (S 117) states that people with disabilities have an equal right to live in freedom! DIA does this by guaranteeing that our community has the choice to get the supports and services we need. DIA is supported by members of both major parties and introduced by Representative Sensenbrenner (R-WI) and Senator Schumer(D-NY), but we need your help to promote this important bill in Tennessee. Send a message to your elected representatives asking them to cosponsor DIA! We support freedom! Contact your legislators.